calcium-deficiency-may-not-be-the-cause-of-osteoporosis The go-to nutrient for the prevention and treatment of osteoporosis has historically been calcium. Bone health requires calcium, magnesium, and phosphorus to maintain strength and promote new cell growth. As people age, one of the unfortunate results is often loss of bone density―especially in women. The cause of osteoporosis, however, might not be a calcium deficiency but something you might not have considered: scurvy. The human body doesn’t create vitamin C, which is why it’s referred to as an “essential” vitamin. This one nutrient is vitally important for proper functioning of the immune system and―you guessed it―maintenance of healthy bones. With a diagnosis of osteoporosis comes calcium supplementation and often a prescription of a bisphosphonate like Actonel, Fosamax, or Reclast. As with all pharmaceuticals, this type of drug can have serious adverse side effects: kidney dysfunction, eye inflammation, esophageal cancer, and chronic pain (1). Bisphosphonates are effective in preventing further loss of bone mass by inhibiting the re-absorption of bone cells by binding to calcium. They therefore affect the usability and availability of calcium by bones, serving only a temporary solution against bone fracture. Long-term use of these medications is under review and the accumulated evidence suggests use should be limited, if prescribed at all. The prescription of calcium supplements for people with osteoporosis can do more harm than good, especially when taken with a bisphosphonate. Too much calcium in the body will clump together, lining arteries and organs. We know the result when that happens: heart attack, stroke, and kidney and gallstones. Hypertension is often treated with a thiazide diuretic to reduce fluids in the body and dilate blood vessels. A side effect of this type of drug is the retention of calcium and loss of magnesium and potassium. 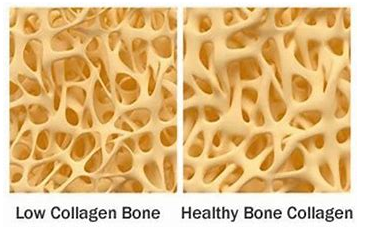 Without nutritional balance, bones suffer and calcification elsewhere can occur. Vitamin C prevents and treats osteoporosis by promoting collagen production, healing fractures, and making bones denser through the creation of new bone cells called osteoblasts (2). With inadequate levels of vitamin C, bone cells degrade. There have been studies that show a correlation of low levels of vitamin C in people who suffer bone fractures (3). 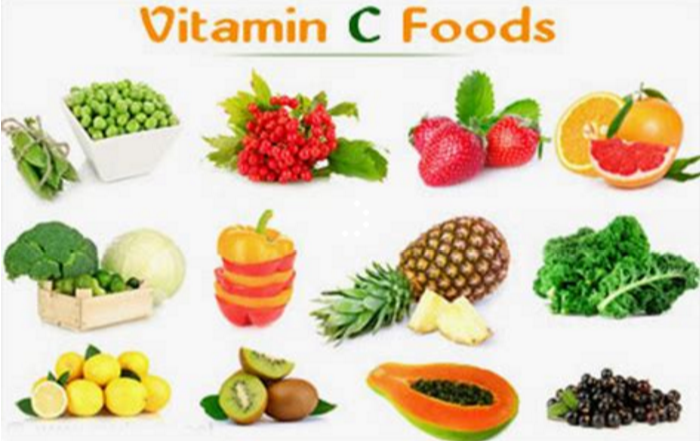 Vitamin C is a formidable antioxidant; it’s oxidation that causes cells to age. Find a list of foods rich in vitamin C here. Vitamin K is also critical for bone health. Found in leafy greens and cruciferous vegetables, fermented dairy, egg yolks, and meat, this vitamin is responsible for building bone proteins. Vitamin D3 is necessary for cells to absorb calcium, which is why it’s added to processed foods. When there is enough calcium in the bones, vitamin D helps bone cells to absorb the other necessary minerals (magnesium and phosphorus) to maintain density (4). Weight-bearing exercises are good not only for your muscles but the bones under them. Regular lifting of weights and/or resistance training will exercise your bones and inhibit density loss. It’s easier to swallow a pill than to plan your meals around a variety of foods to gain proper nutrition. If the cause of osteoporosis is a vitamin deficiency, then taking a supplement may seem the best thing to do if you are at risk. Nutrients often depend on other nutrients to work inside the body properly―you don’t want to create an imbalance by supplementing one particular nutrient without knowing the big picture. Some supplements are contraindicated with certain medications; if you are taking anything, consult your healthcare provider or nutritionist before self-medicating. Vitamin supplements aren’t regulated in the United States. Do your research so you know exactly what you’re taking. Emergen-C is a popular vitamin C supplement. Don’t use it. Ascorbic acid is one component of what is referred to as “vitamin C” and is the active ingredient in this supplement. Other harmful ingredients in Emergen-C include fructose [sugar], maltodextrin [sugar], silicon dioxide, and “natural flavors”.) Without the other phytochemicals that occur naturally to form the complex of the nutrient, there is the potential to overdose on ascorbic acid and cause damage. While it’s true that you can’t overdose on vitamin C (your body will eliminate any excess), ascorbic acid isn’t the same thing. If you like the convenience of a powder, you can peel some oranges, allow them to dry, and grind them up. If you opt for a supplement, choose one that is made from whole foods. As we age, our nutritional needs become even more important, as caloric intake may decrease and the body takes longer to heal. If you have osteoporosis or are at risk to develop it, a simple vitamin deficiency may be the cause. Check your diet and incorporate more foods with the nutrients you require. You can find a list of vitamin C foods here, along with a discussion on this essential nutrient.